This talented music artist owes her meteoric rise to fame to the limitless powers of the world wide web. Clairo started making music and sharing them via online platforms when she was still a teenager and when stardom eventually came calling, she was more than ready for it. She became an overnight success after her self-produced single “Pretty Girl” was released on YouTube in 2017. In addition to an ever-growing popularity, Clairo landed a recording contract after which her debut EP Diary 001 was released. She has indeed proven to be the real deal and not just a flash in the pan. Best known by her stage moniker – Clairo, this music star was born Claire Cottrill on August 18, 1998. She was raised in Carlisle, Massachusetts. As a young teenager, she learnt how to play the guitar through online tutorials and eventually, she began performing covers of popular songs. She shared these covers on online platforms such as Bandcamp, SoundCloud and YouTube and through this, she became quite popular. Among her earlier successes, Clairo was approached by MTV to create a theme song for one of their shows, however, the song was never put into use. The talented singer eventually hit the jackpot with her own original song “Pretty Girl” which was uploaded on YouTube in August 2017. The video quickly went viral attracting millions of views within a relatively short period of time. A couple of older songs which she had shared earlier also caught the attention of the public proving that the young music star isn’t just a one-hit wonder. 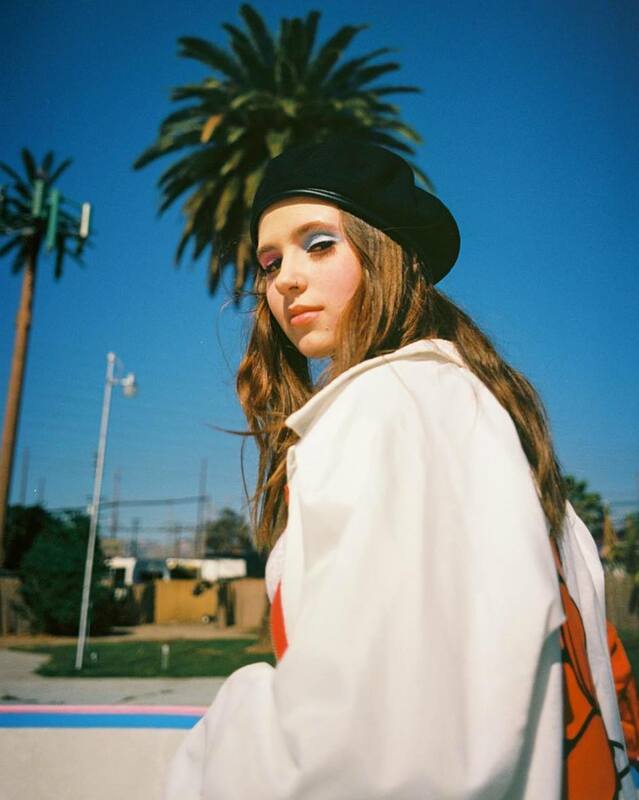 According to Clairo, the song “Pretty Girl” was originally recorded for the Transgender Law Center, a US-based transgender-led civil rights organization. Her soaring online popularity earned her the attention of several major record labels but she ultimately settled for a 12-song record contract Fader Label, an independent label based in New York. She equally got signed to a talent agency called Haight Brand. In 2018, she released her debut EP Diary 001. The EP contained her breakout single “Pretty Girl” and two others “Flaming Hot Cheetos” and “4Ever”. Also in 2018, she released two more singles “Better” and “Drown” in addition to the soundtrack to the movie Skate Kitchen. The talented music star began her first North American tour in 2018 and she also got to open for English singer Dua Lipa. While working on her second EP titled Dawn EP, Clairo has released several singles for 2019 including “Sis”, “Bubble Gum” and “Throwaway”. She is billed to perform at the 2019 Coachella Festival. Family Life: Who is Clairo’s Dad? Her mother, Allie Cottrill, is a photographer and designer while her father, Geoff Cottrill, is an established marketing executive. He began his career after graduating with a degree in Economics from Florida State University in 1985. He spent over a decade working at the Procter & Gamble Company as a sales and marketing executive. He spent another nine years as the head of the entertainment marketing team of The Coca-Cola Company. He also served as a top marketing executive for the American shoe company, Converse. Mr. Cottrill has also served on the board of organizations such as the Institute of Contemporary Art and the MusiCares Foundation, a charity associated with the Grammy Awards. Though her career is still relatively young, Clairo has faced some major controversies. She has been criticised in several quarters for claiming to be a “do-it-yourself” artist whilst benefiting from her father’s extensive connections in the showbiz industry. It has been alleged that her recording contract with Fader Label was secured based on her father’s connection with the associated magazine, The Fader magazine. On her part, Clairo has denied all allegations that her career may have been built through nepotism. • Claire Cottrill a.k.a. Clairo was diagnosed with juvenile rheumatoid arthritis when she was 17 years old. • The sexuality of this music star can be considered to be a grey area. Though she has never claimed to be gay, she has revealed that she is “not entirely” heterosexual. • One cannot conclude that the singer is either gay or straight until she makes clarifications in this regard. There is also a possibility that she prefers not to put a tag on her sexuality. However, she is known to be very supportive of the LGBT community.